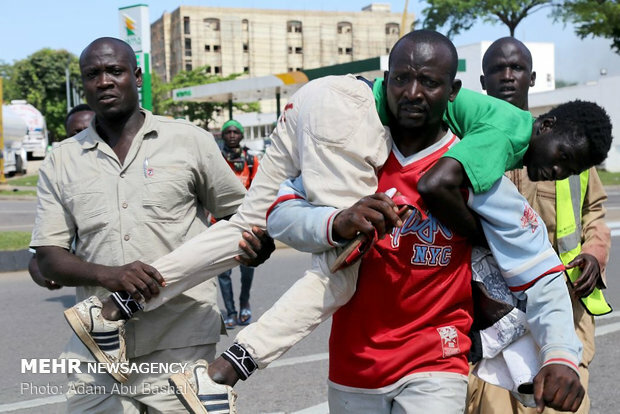 It has been reported that Nigerian army again opened fire on unarmed and peaceful mourners of Arbaeen in Abuja on Tuesday, martyring dozens of them. According to Islamic Movement in Nigeria spokesman, 50 participants at the Arbaeen marches have been martyred by the Nigerian security forces since Saturday when the Arbaeen marches began. It has been reported that the marchers demanded the release of the Islamic Movement of Nigeria (IMN) Ibrahim El-Zakzaky during the marches.